The second annual 2014 Skills and Salary Survey report of nearly 500 Australians working with data found nearly 90 per cent are finding it either as hard or harder to recruit analysts this year compared to last year. The report also showed analytics professionals are earning almost twice the median Australian salary at an average $125,000 annually, up 14 per cent year-on-year. This was based on median salaries of $72,000-$75,000 for those who have worked for up to three years, and $152,000-$194,000 for those working for 14 to 16 years. Seventy per cent of respondents said they had seen their salary increase over the last three years. In addition, those analysing social media and social network data are earning a whopping 50 per cent more than the average respondent’s salary, with a median wage of $190,000, IAPA said. These big salaries were despite the fact that 60 per cent of hiring managers still find applicants to be underskilled. This year’s report included new segmentation analysis designed to better understand the types of professionals working with data. The four categories of professional were: Data scientists (24 per cent), BI and visualisation focused (35 per cent), traditional analysts (30 per cent) and analytical integrators (11 per cent). Those tagged ‘data science professionals’ were found to have a distinct range of skills, including being more multi-skilled, more technical and more adept at using change management, persuasion, business case development and communication skills compared to their data peers. They also represented the highest median salary of between $130,000 and $138,000. Across the board, 43 percent of respondents said keeping skills up to date was both the biggest challenge professionally, as well as their biggest interest. Three-quarters were interested in further non-degree training, and 40 per cent were pursuing degree-based learning. But there remains a gap between the work analysts are doing, and how businesses are utilising the intelligence and insights provided. 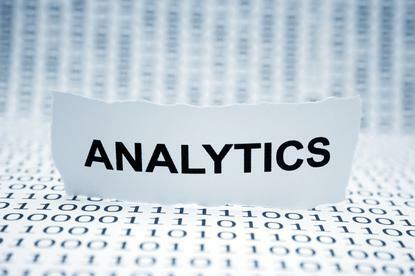 As well as citing timely access to high-quality data (40 per cent) as a key challenge, convincing their company of the value of analytics (39 per cent) was the third-biggest hurdle for analytics teams, followed by getting the company to act on insights (38 per cent). “There is a disconnect between what companies say they want and what’s actually happening,” said the report’s author, Evan Stubbs, chief analytics officer at SAS. Stubbs called on business leaders to improve the use of evidence from analytics to better guide decision-making, and marry insight and experience. “Analytics professionals need to directly link their efforts to business priorities and communicate insights in ways that are easily assimilated and understood by business decision-makers,” Campbell added. The research also looked into where analytics sits across organisations and found main areas included marketing, advisory/consulting, and shared services business intelligence and insights teams. However, the list of functions survey respondents came from was a broad one and also included credit risk, data warehousing, sales, research/development and product management.